In this work, the authors reveal the essence of theoretical approaches to the improvement of mechanisms for ensuring the external economic security of Russia in international financial and economic organizations. The analysis of the existing methodological approaches to assessing the level of foreign economic security of the country. The main directions for the implementation of the internal economic and external economic mechanisms to ensure the security of the state are defined. The classification of international financial and economic organizations is given in accordance with the organizational principle, multilateral regulation and according to the spheres of international economic relations. Criteria for a comprehensive assessment of Russia\'s participation in international financial and economic organizations are proposed. 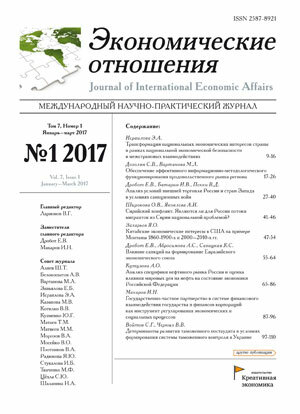 In the course of the study, the main factors of the evolution of foreign economic security were identified and a set of measures to improve the mechanisms for ensuring foreign economic security was based on an analysis of factors containing the effectiveness of the participation of the Russian Federation in international financial and economic organizations. In conclusion, the authors came to the following conclusions:  cooperation with international financial and economic organizations in the aspect of ensuring foreign economic security should be based on relevant agreements, programs, consistent with the concepts and strategies of the Russian Federation;  the basis for cooperation should be a clear definition of the role of each of the parties;  the concept of cooperation should be focused on reducing inefficiently used loans, and borrowed resources should be focused on the implementation of large investment projects of national importance;  information on the nature and scope of cooperation agreements should be accessible to both government departments and the general public;  the state policy of cooperation of Russia with international financial and economic organizations should be focused on the effective use of opportunities and advantages offered by membership in international financial and economic organizations;  each of the areas of cooperation of Russia with international financial and economic organizations under consideration should be designed to promote the social and economic development of the state. The results of the study can find practical application in the activities of the Ministry of Finance of the Russian Federation and the Central Bank of the Russian Federation, which officially interact with key international financial and economic organizations. 1. Annual report of the Bank of Russia for 2013. - M.: Central Bank of the Russian Federation, 2014. 2. Bank of Russia. [Электронный ресурс]. URL: http://www.cbr.ru/hd_base/mrrf/mrrf_m (дата обращения: 15.10.2018). 5. Andronova I.V. External economic security of the Russian Federation: new threats and their neutralization in the context of accelerated Eurasian integration. Thesis for the degree of Doctor of Economic Sciences, Moscow, 2015. 6. Andronova I.V. External economic security of the Russian Federation: new threats and their neutralization in the context of accelerated Eurasian integration. Thesis for the degree of Doctor of Economic Sciences, Moscow, 2015. 7. Artemyev A.A. Principles as a basis for the modernization of the national banking system // Economics and Management. – 2013. – № 20. – p. 15. 8. Baburin A., Gryzenkova Yu. Technology of management monitoring // Kadrovik, 2010. – № 8. 9. Baranay P. Modern economic diplomacy. Baltic-course.com. [Электронный ресурс]. 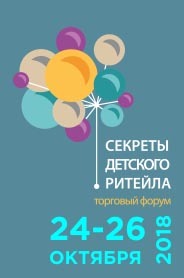 URL: http://www.baltic-course.com/ eng / opinion / & doc = 11749 (дата обращения: 02.10.2018). 10. Beklemishev A.V., Kazakova G.A. Creating a system of financial monitoring // Leasing, 2010. –№ 5. 11. Bolonin A.I., Ermolovskaya O. Yu. Analysis of the implementation of strategic national priorities using the federal targeted investment program // Bulletin of the Academy, 2015.– № 2. 12. Dolgopyatova T.G. Corporate governance in Russia. / textbook. – M.: Prospectus, 2008. 13. Efimova Yu.V. Methodical approaches to assessing the creditworthiness of borrowers // Bank Lending, 2010. – № 3. 14. Egorycheva Yu.A. Methods of banking rating of enterprises of the construction industry // Bank lending, 2012. – № 6. 15. Kachaeva M. Borrower rating as an integral part of the credit risk assessment system // Bank review, 2010. – № 10. 16. Leshchenko Yu. G. Economic sovereignty in the 21st century: on the issue of Russia's external economic security in terms of membership in international financial and economic organizations // Russian business, 2018. – № 12. 17. Leshchenko Yu. G. Financial Stability Board: Prospects for the Development of the Global Regulation Mechanism // Вопросы инновационной экономики, 2018. – № 2. 18. Lev M.Yu. Price regulation in the economic theory of supply and demand // Вестник института экономики российской академии наук. – 2016. – № 4. – p. 122. 19. Ochkin R.O. Formation of national-state economic interest in the concept of national interests of Russia // Bulletin of the Saratov State Law Academy. – 2014. – № 6(101). – p. 84. 20. Phuong Nguyen Chinas Charm Offensive Signals a New Strategic Era in Southeast Asia. Csis.org. [Электронный ресурс]. URL: http://csis.org/publication/chinas-charm-offensive-signals-new-strategic-erasoutheast-asia (дата обращения: 13.10.2018). 21. Savchuk V.P. Enterprise Finance Management. – M.: Publisher: Binom. Laboratory of Knowledge, 2010. 23. Smirnova O.V. Seigniorage and the formation of central bank profits: a theoretical-economic aspect // Finance and Credit, 2013. – № 1. 24. Sovik L.E. Implementation of a systematic approach to monitoring business activities // Economy and Entrepreneurship, 2012. – № 3. 25. Strange S. The Persistent Myth of «Lost» Hegemony // International Organization, 1987. – № 4. 26. Tanasheva O.G., Urvantseva A.V. Monitoring in the settlement management system with debtors // Audit statements, 2005. – № 12. 27. Woolcock S., Bayne N. New Economic Diplomacy: Decision-Making and Negotiation in International Economic Relations. - London: Ashgate Publishing, 2013.